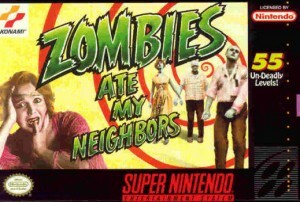 LucasArts (Yep, part of the Lucasfilm umbrella) created this great game. The premise is soooo fun. You need to rescue humans from 50’s/60’s horror movie characters (Zombies, Vampires, Werewolves, Chainsaw maniacs, 50 foot tall babies, etc.) and you can use a crazy assortment of weapons (Squirt guns, Weed Eaters, Silverware (Great for Werewolves), etc). The music is a fun homage to the classic Sci-Fi and Horror movies. If you have never played ZAMN, you must it’s a scream. In a good way. Note: There are some adult language in this video, just to let you know.